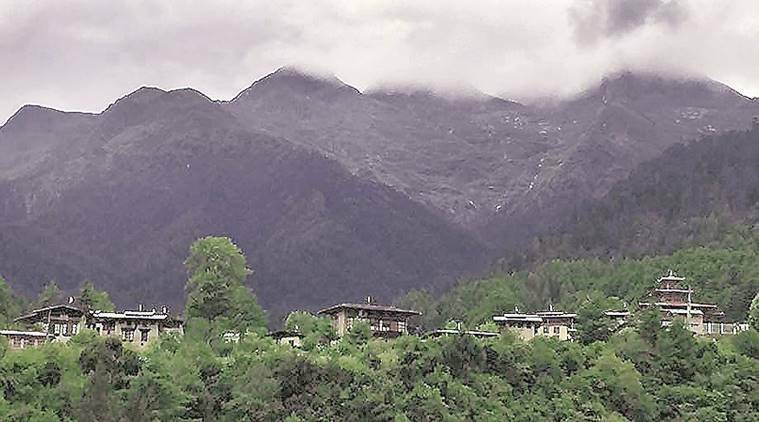 On Thursday, the Ministry of External Affairs issued a clarification on Doklam: “It may be recalled that last year, the faceoff situation that had arisen in the Doklam region was resolved following diplomatic discussions between India and China, based on which both sides arrived at an understanding for the disengagement of their border personnel at the faceoff site.” The careful choice of words echoed the Ministry’s statement issued on August 28, 2017, when the “disengagement” ended the 73-day face-off in the Dolam plateau of Doklam area. The decision to attack North Korea or to allow its government to acquire nuclear weapons was always a choice between the lesser of two evils. One option brings with it the death and destruction that come with war. The other option brings with it the chance, however remote, that the United States could be nuked by an enemy state. Both options bring an additional consequence that must be taken into account: a worsening of U.S.-China relations. China promised to help with North Korea so that the U.S. wouldn’t have to choose either evil. China has failed, and the U.S. appears to be moving toward a decision to accept a nuclear North Korea. That, in turn, creates yet another decision the U.S. must make: whether to hold China accountable. BEIJING (Reuters) - China’s violence-prone far western region of Xinjiang will build a “Great Wall” around its borders to prevent the infiltration of militants from outside the country, state media reported on Tuesday citing the regional governor. Hundreds of people have been killed in Xinjiang in the past few years in violence between Uighurs, a mostly Muslim people who speak a Turkic language, and ethnic majority Han Chinese, especially in the heavily Uighur southern part of Xinjiang. China blames the violence in Xinjiang on Islamist extremists and separatists, some of whom it says have links to groups outside the country. China has begun building a multi-sensor system for obtaining constant data on the precise location of surface and submarine vessels in the South China Sea. Surface surveillance would be carried out by a constellation of ten remote sensing satellites so that the South China Sea is under constant surveillance. Satellites at an altitude of 600 kilometers would be equipped with SAR (synthetic aperture radar) and digital cameras. A typical SAR can produce photo quality images at different resolutions. At medium resolution (3 meters) the radar covers an area 40x40 kilometers. Low resolution (20 meters) covers 100x100 kilometers. This takes care of surface ships (including diesel-electric subs when surfaced). Since 2010 China has been experimenting with such an array, using three satellites moving in formation over the western Pacific. China announced that the first South China Sea satellite will be launched in 2019 and all will be in orbit by 2025. By 2030 the Chinese Navy will have 260 ships, 30 percent more than the American fleet. Those satellites and the rest of the sensors will add to that numerical superiority and make the South China Sea a very dangerous place for anyone the Chinese do not want there. Bottom Line: As part of its ambitious strategy to evolve into a leading global power by 2050, China has spent considerable resources upgrading its naval capabilities. Through such undertakings, China has significantly enhanced its force projection in East Asia, where it has staked claim to disputed islands and waters as a means of expanding its sovereignty and procuring additional resources. 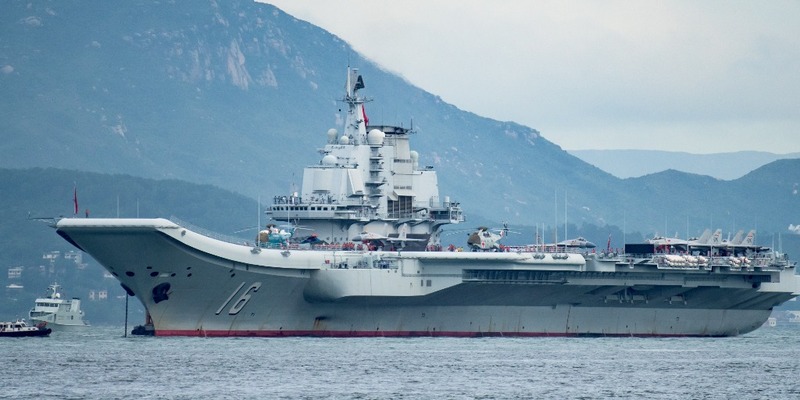 China’s emphasis on upgrading its navy represents a worrying trend for the U.S. and its regional allies, as it threatens their territorial integrity and may ultimately enable China to challenge U.S. naval supremacy in the region. On Dec. 20, four men and two women met at the Reichstag in Berlin, the building where Germany's parliament meets, for exploratory talks on the forming of a new government. It could have been a pleasant meeting. Martin Schulz, the head of the center-left Social Democratic Party (SPD), was celebrating his birthday -- he turned 62 that day. Chancellor Angela Merkel, meanwhile, was looking forward to setting off on her annual vacation in Engadin, Switzerland, just two days later. The pre-Christmas quiet had already settled in over the capital city's government quarter. Certainly, the reduced tension between the warring Koreas is a welcome development and not just for those countries that are within firing distance of Kim Jong-un's missiles. But it may be too early to declare a victory for sports diplomacy, as some might wish for. Good optics should not be a substitute for real progress, especially when it comes to peace and stability in the region. Ahead of the 2018 Winter Olympics, North and South Korean officials are talking for the first time in two years. North Korean athletes will presumably participate in the games and may even march with their fellow Korean Olympians from south of the 38th parallel in the opening ceremonies. Germany plans to boost renewable energy sources and to phase out nuclear power by 2022 and most fossil fuels by 2050. Through this transformation, dubbed Energiewende, Germany was able to produce 38.5 percent of its power from wind, solar and other renewable sources during 2017. Among the larger economies, only China is close to matching Germany in the energy transition. Germany, the world's fourth largest economy, is leading the way in a global transition to renewable energy. Through its own transformation, dubbed Energiewende, Germany was able to produce 38.5 percent of its power from wind, solar and other renewable sources during 2017. That figure is well ahead of the progress made by any other country among the world's rich and developing nations, and Germany showed that it could be done while maintaining strong economic growth over the past 15 years. And though this green revolution has helped make renewable energy into a major global business, it hasn't come without mistakes. But even those missteps can serve as signposts for the countries that want to follow the trail blazed by Germany. 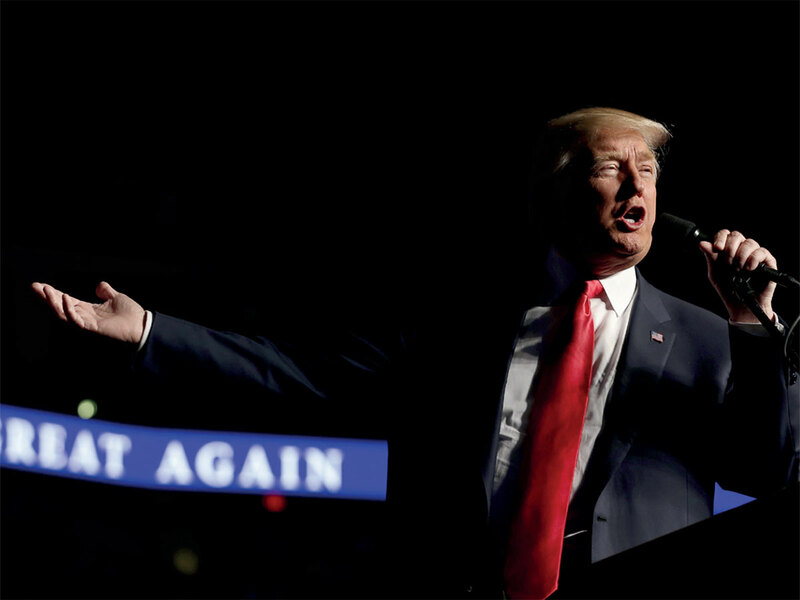 In this Strategic Trends 2017 chapter, Jack Thompson argues that the election of Donald Trump, and the emergence of his America First credo, promises a world where the US will not pursue an internationalist foreign policy. As a result, Europe would do well to begin planning for a future in which the US is more skeptical of alliances and trade agreements and less willing to assume a leadership role in resolving international problems. Global trade is changing. The kinds of multilateral agreements that characterized the postwar years have stalled over the past two decades, prompting countries and economic blocs to try to negotiate smaller deals with fewer partners. Nations and blocs have more leeway under this new model to negotiate the trade agreements that best suit their interests and to avoid those that don't. Now, more than ever, the future of international trade depends on a country or bloc's defensive interests, offensive interests and underlying factors of production. Our fortnightly Trade Profiles aim to break down these factors to facilitate an understanding of where global trade stands today and where it's headed. Bottom Line: Terrorist group Boko Haram has lost most of the territory it claimed as a “caliphate” within Nigeria back in 2014. But group still strikes government officials, troops and civilians from its few remaining safe havens in the northeast of the country, and is positioning itself to take terrorism global. 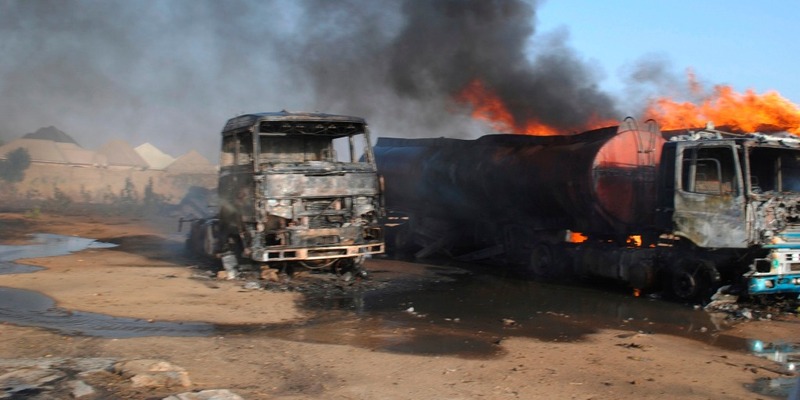 The group’s closer alignment with international terrorist organizations, such as ISIS in Iraq and Syria and al-Qaida in the Islamic Maghreb (AQIM) to the north, suggest that Boko Haram is looking to internationalize its attacks by targeting Western interests in the region. While the Nigerian military may still be able to make headway in ejecting Boko Haram from the last of its strongholds, the state will continue to struggle to control the country’s vast northeast territory. The need to understand North Korea’s “theory of victory”, what they believe is necessary to deter adversaries and secure their national interests, looms large for the United States. Understanding how North Korea views escalation and reacts to U.S. action should frame the approach used to compel them to conform to international norms. This is not the first time the U.S. has paused to evaluate what it understands about North Korea. On April 15, 1969, North Korea shot down an American EC-121 reconnaissance aircraft killing 31 American airmen. To this day, no one is sure why North Korea shot the plane down. What is clear is that the U.S. did not fully understand how North Korea viewed their future and what they were willing to pay to secure it. Recently released Russian documents make it clear that North Korea’s beliefs about force, deterrence, and compellence during the Cold War resulted in a “firm belief in reciprocal, automatic violence when attacked, on the grounds that failing to retaliate will cause one to suffer future attacks.” For the U.S., this lesson cost them 31 lives and international prestige. Other failures in understanding an adversary’s culture have likely cost the U.S. far more over the last two decades. Over the next quarter century, the rise of three billion more middle-class consumers will strain natural resources. Progressively cheaper natural resources underpinned 20th-century global economic growth. But the 21st century could be different. Indeed, over the past ten years, rapid economic development in emerging markets has wiped out all of the previous century’s declines in real commodity prices. And in the next two decades, up to three billion people (and their spending power) will be added to the global middle class. Is the world entering an era of sustained high resource prices, leading to increased economic, social, and geopolitical risk? Over the past few years, artificial intelligence has rapidly matured as a viable field of technology. Machines that learn from experience, adjust to new inputs, and perform tasks once uniquely the domain of humans, have entered our daily lives in ways seen and unseen. 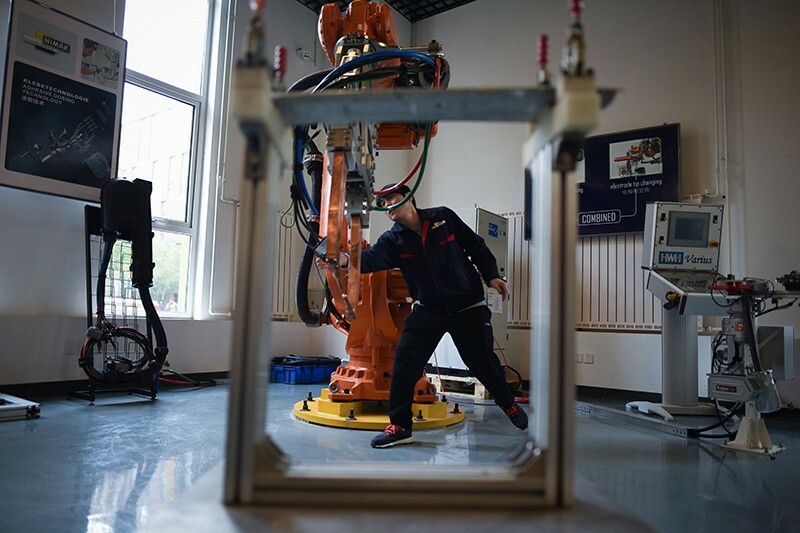 Given the current breakneck pace of change and innovation, the question for governments and policymakers is how to harness the benefits of artificial intelligence, and not be trampled by the robot takeover of our nightmares. The answer is simple: make them work for us. BEIRUT—Just north of a perennially jammed arterial, sandwiched between the French embassy complex and a university administration building, a beige monolith with a vertical slash of reflective windows is set back from the road, guarded by a row of high barriers and men in fatigues with long guns. The building belongs to Lebanon’s General Directorate of General Security, one of the country’s several security agencies, which is in charge of national-security intelligence. According to a bombshell new report, this building is also the home base for a wide-ranging spying operation that spanned five years and more than 20 countries. Russia’s ability to successfully conduct hybrid warfare is predicated on the creation of a fog of ambiguity between the Kremlin’s actions and the Kremlin itself. By conducting operations through an ad hoc network of proxies, carve-outs, and cutouts — whose connection to the Kremlin is difficult to definitively establish — the Russian government is able to maintain plausible deniability and thus lower the diplomatic and military costs of its actions. It is a strategy with deep roots: maskirovka — a Soviet-era military doctrine that translates as “mask” or “masquerade” — established operational deceit as a core tenet of both conventional and irregular warfare. While modern maskirovka is most commonly associated with the use of “little green men” to occupy Crimea, it is a tactic that is also deeply ingrained in the Kremlin’s ongoing disinformation campaign against the United States and Europe. This presents an obvious challenge: How can the West respond to an adversary who denies even being present on the battlefield? People are concerned about robots. Ever since a computer system defeated chess champion Gary Kasparov 20 years ago, public perceptions of progress in artificial intelligence (AI) research have been defined in terms of high-profile competitions pitting human against thinking machine. Anxiety is high about what the ultimate consequences could be. In the wake of Deep Blue’s triumph, other machines powered by AI have racked up momentous victories against human opponents in the game show Jeopardy and, most recently, against the world champion Go player. The latest version of Google’s AlphaGo software taught itself to play the strategy board game without any human help at all. As we’re surrounded by smartphones, smart homes, smart cities and many more supposedly smart things, artificial intelligence and machine learning are already helping us in ways that we may not even realize. According to Deloitte’s Global Mobile Consumer Survey, 65 percent of smartphone owners across 16 developed markets have used an application featuring machine learning in the past. Many of these applications, think predictive text and route suggestions for example, are designed to make our mobile experience feel more personalized and convenient; and as algorithms, hardware and the underlying data sets improve over time, we can expect AI-infused services to get a lot smarter going forward. Warfare is evolving. As the technology surrounding unmanned vehicles, cyberattacks and multi-domain assets develops and advances, the military’s tools and strategies need to evolve too. Understanding how individuals in the Department of Defense and the military perceive these threats — and how to best address them — can give their priorities context. With this in mind, Government Business Council (GBC) polled 111 senior employees in the defense, military and intelligence communities to help anticipate the future needs of U.S warfighters in the battlefield. THE ARMY DOESN’T EFFECTIVELY MENTOR NONCOMMISSIONED OFFICERS. IT NEEDS TO START. If so, that backbone is at its strongest with a robust program of leader development. Unfortunately, the Army does not do this well for its senior NCOs. Professional development is too often episodic, disjointed, based on—or disrupted by—operational requirements and assignment cycles, and lacks expert oversight. Although it isn’t necessarily intrinsic to any of the three pillars of leader development—education, training, and experience—mentorship as a vital component of development. Better mentorship, especially for NCOs, would be an important step toward addressing the Army’s development shortfalls.